WILMINGTON, Del. — If you ran a race in the Delaware Valley, you probably know who John Schultz is. Today, the running community is mourning his death. Schultz, 84, was killed Thursday night crossing Philadelphia Pike in Delaware when he was hit by a pickup truck driven by 32-year-old man from Wilmington. Known for his trademark red shorts and no T-shirt, Schultz didn’t start running until the age 59 in 1990. The former consulting regulatory affairs chemist at the DuPont Co. missed the bus one day and decided to walk home from the DuPont Building at 10th and Market streets – in business clothes and dress shoes. Four miles later, a walk turned into a jog and a passion for running was born. “What if I could just keep doing it?” Schultz told The News Journal in 2008. Keep on doing it he did. Schultz was scheduled to run two races this weekend: the Turkey Trot in Newark on Saturday and the Philadelphia Marathon on Sunday. Then, per tradition, the Brooklyn, New York, native would travel home for Thanksgiving, where friends say he would likely find a race there. “He had the tendency to do long distance runs back-to-back,” said Wayne Kursh, CEO, and chairman of Races2Run, an organization that puts on racing events in the region. 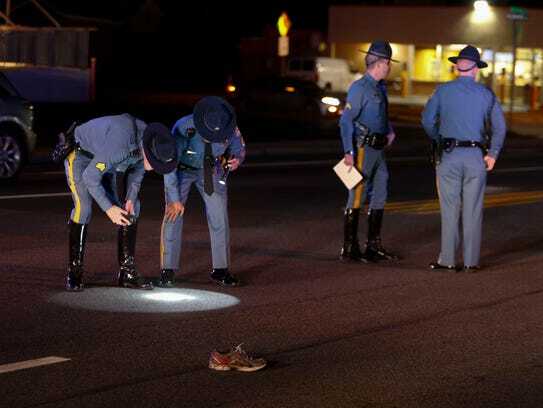 Schultz, who police say was wearing dark clothing at the time of the crash, became the 12th pedestrian killed on Delaware’s roads since Sept. 1 – three of those fatalities have occurred this week. Schultz ran more than 100 races a year, including four marathons. It’s the reason Schultz was so well known. Schultz averaged a 17-minute mile and while his finishing times may have decreased as he got older, McKinney said his workload did not. Schultz seldom missed races and never cut on the amount of races he ran. Christiana Richter, a neighbor of Schultz, said the running community lost a dear friend. She would always see him running and walking the same trails. “Him and his red shorts were such a beloved part of the community,” she said.